This is an original color aquatint and drypoint etching by French artist Manuel Robbe. 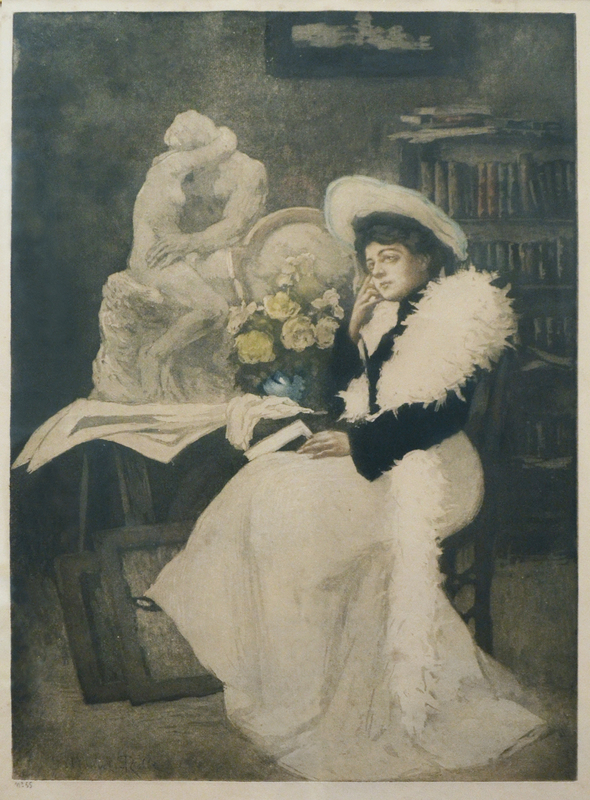 This image is titled "Le Dernier Roman" The plate measures 20 1/2X14 1/2 inches. It is hand signed in pencil in the image and editioned as number 55. This etching is framed and originally sold by Merrill Chase Galleries, label on the back.